Samuel Freeman is pleased to present BLINDSIGHT, an exhibition of new works by Jenene Nagy, Emilie Halpern, and Molly Larkey. 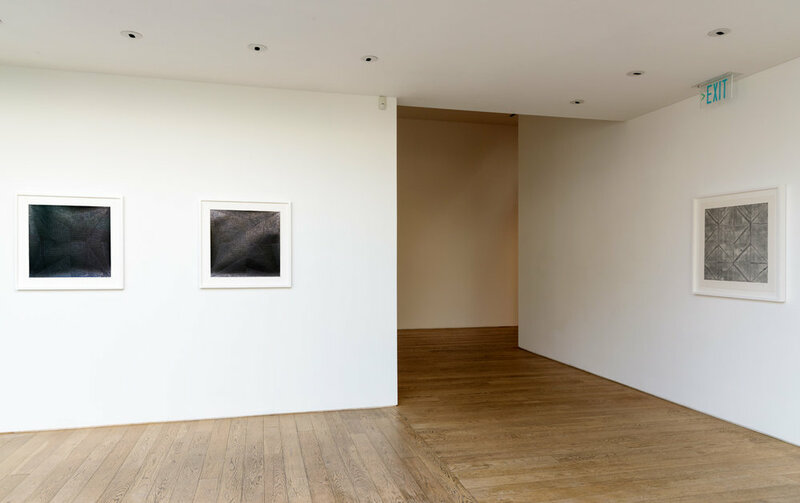 Connected through a shared focus in dimensionality and physical presence, these three artists play to a viewer’s experience of space, light and geometric form through the intersection of drawing, painting and sculpture. 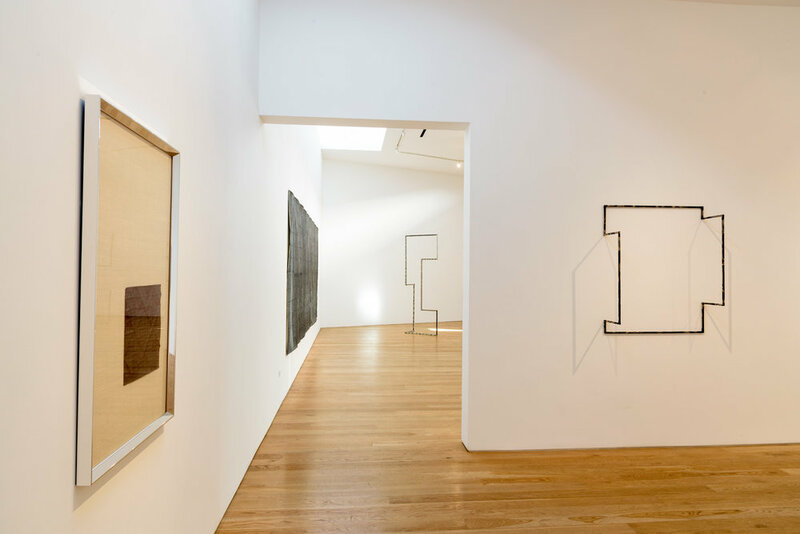 Mirroring the surrounding gallery environment as well as their own forms, the works both shadow and overshadow perspectival constructions. In moving beyond a determined visual space these pieces nod to a historical hierarchy of visual perspective, while also turning the notion on its head. BLINDSIGHT is an exhibition that questions established notions of constructed visual awareness. Coined in 1974 by the psychologist Elizabeth Warrington, the term ‘blindsight’ was used to describe a phenomenon where cortically blind individuals are conscious of things they cannot see. These individuals could sense shapes and images, even mirror emotions, despite not seeing them at all. Perspective, therefore, becomes a psychological experience. The works of Jenene Nagy, Emilie Halpern, and Molly Larkey disrupt traditional forms of perspective that derive from a geometrical ordering of sight. A protruding triangle doubles as a supporting intersection. A gilded floor captures a moment in time. Folded paper is flattened, creating parallel shapes that nearly disappear within the shimmering texture of a million graphite marks. Multiplicity makes way for dimensionality when the flat planes of a line or a mark transition towards a wider realm of awareness.